Gulu High Court granted bail to four MPs and 8 other suspects who were arrested on August 13th for participating in election campaign violence in Arua in which President Yoweri Museveni’s motorcade was allegedly attacked. 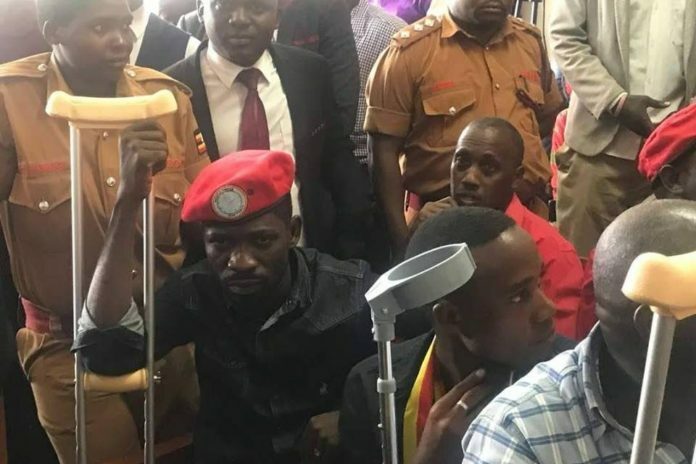 The MPs now free, are Hon Robert Kyagulanyi, Kassiano Wadri, Gerald Karuhanga, and Paul Mwiru, as well as a former MP for Makindye, Mike Mabikke. These along with 7 others were the first batch of the 33 suspects to be granted bail by Justice Stephen Mubiru of the Gulu High Court. The rest of the applicants will be heard later in the day. The Court released the suspects on a Shs 5 Million non-cash bond each, while each of their sureties were placed on a Shs 10Million bond. Meanwhile, Justice Mubiru, declined a prosecution request for court to hold onto the passports of the bailed suspects, stating that some of these might need them to travel for medication, and that having to pick them in Gulu would be a big inconvenience. 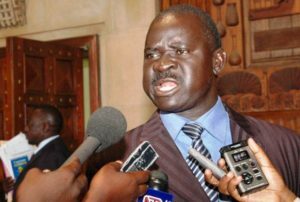 The Judge however, ordered the applicants, particularly the Arua County MP elect Kassiano Wadri not to go to his constituency and to refrain from holding any celebratory processions, as this could interfere with the case investigation. In case he needs to meet with his constituents, the judge said, he would need to seek court permission. “I find that it is desirable in the interest of completion of this case, that we have an environment of calmness in this area so that all parties prepare their cases without any interruptions,” the judge ruled. The released suspects were ordered to report regularly to the Magistrates Court. A total of 33 of the suspects are facing Treason charges before the Gulu Chief Magistrates court. These applied to the High Court to be released from jail, citing among others their medical conditions. Several of the suspects including Hon Robert Kyagulanyi of Kyadondo East claim to have been severely beaten and brutalized while in detention. One of the suspects, as the bail hearing session was ongoing, collapsed and was carried out of the court house. The judge observed that this was probably because the room was overcrowded. In their bail application before the Gulu High Court, the suspects through their lawyers, asked to be released on bail, and presented a number of sureties, mostly fellow MPs. 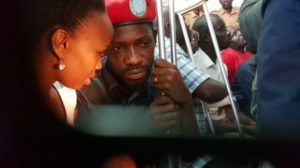 Hon Kyagulanyi, who was recently added to the charge sheet, having been charged briefly with illegal possession of fire arms by the court martial, presented three sureties. These were Buyaga West MP Hon. Barnabas Tinkasimire, Former FDC President Gen Mugisha Muntu, and his elder brother Eddy Yawe Ssentamu. Hon Kassiano Wadri, the MP elect for Arua Municipality, for whom most of the suspects were campaigning when they were arrested in violence, presented two suspects; namely the former Leader of Opposition Hon Winnie Kiiza and Kabweri County MP Hon Francis Gonahasa. Ntungamo Municipality MP Gerald Karuhanga’s sureties were Bukoto East MP Hon Florence Namayanja and Nwoya District Woman MP Hon Lilly Adong. Jinja Municipality MP Paul Mwiru was stood surety by Soroti District Woman MP Angelline Osegge, as well as Soroti Municipality MP Herbert Ariko. Meanwhile, the current Leader of Opposition Hon Betty Aol Achan and KCCA Councillor Moses Katabu stood surety for the former Makindye MP Michael Mabikke.